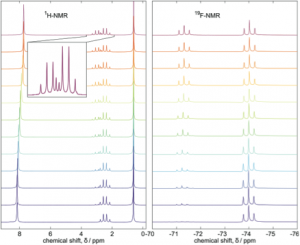 Magritek reports on the use of their Spinsolve Benchtop NMR system at the BAM Federal Institute for Materials Research and Testing. The BAM Federal Institute for Materials Research and Testing operates under the guideline “Safety in Technology and Chemistry.” For the field of analytical chemistry, this defines tasks with the main emphasis on development and provision of certified reference materials (CRM), development and validation of complex analytical methods, methods for the assessment of analytical laboratories, and establishing and fostering national and international networks committed to the assurance of quality, reliability and comparability in analytical chemistry. The focus of Division 1.4 Process Analytical Technology (PAT) is the development and application of PAT technologies. This includes develop­ment and validation of analytical online and at-line methods. Describing the projects to date, Dr Maiwald, said he has used the Spinsolve for flow-through reaction monitoring experiments. These have included the simultaneous observation of 1H and 19F in an esterification reaction. 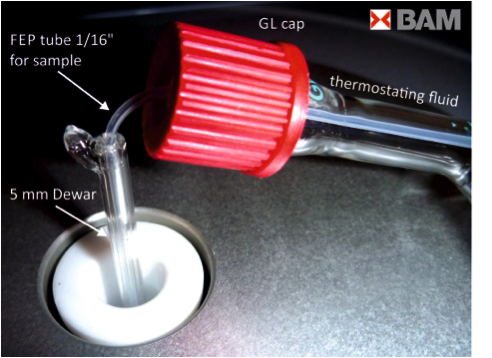 This was observed within 1/16” FEP tubing using a 5 mm outer diameter dewar insert to keep the elevated reaction temperature. Looking ahead, Dr Maiwald and his group are planning to further improve online reaction monitoring with medium resolution NMR spectroscopy and develop automated data preparation and data analysis tools by developing chemometrics and automated signal processing tools..
Magritek provides complete NMR and MRI solutions and applications for Chemical, Pharmaceutical, Oil and Gas, Food and Construction Industries as well as components and subsystems suitable for Research Laboratories and Academic Education. Magritek has offices in Aachen, Germany, San Diego, USA, and Wellington, New Zealand and a global network of distributors and agents to support customers. 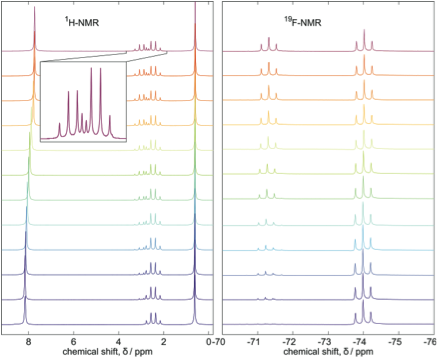 The initial NMR technology and IP used in Magritek products grew out of decades of world-class research by Ampere prize winner Professor Bernhard Bluemich’s group at RWTH Aachen University, and Gunther Laukien prize winner Paul Callaghan’s team at Massey University and Victoria University of Wellington.